I started out working as an assistant at a general dental practice. From there I spent 15 years working in orthodontics before becoming the office manager at Highland Village Dental. 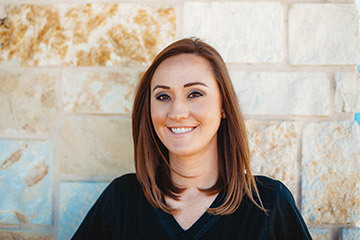 I keep the office running smoothly and ensure that all patients who walk into Highland Village Dental get all the support they need. I enjoy the relationships I’ve been able to build with our patients over the years, and count many of them as dear friends. I also appreciate our staff, who have really become like family! I am married and enjoy spending time with my two children, Taylor and Preston, and my dog Missy, who I treat as is if she were another one of my kids! When I’m not at work, I spend most of my time helping the Guyer band, in which my son Preston is a drum major, and I love girl time with my daughter Taylor. I am very excited to become a NeNe for the first time! I have been a registered dental assistant for at least seven years. I love my current position, which is focused on managing the hygiene schedule, verifying insurance, working in the front office, and helping wherever needed. Working here at Highland Village Dental, I feel like I became part of a family the moment I was hired. Between the team, Dr. Stansbury, and our patients, I gained so many new friends who really care about me. I love how our patients receive one-on-one attention at each of their appointments. We want our patients to be comfortable and we give 100% of our focus to them and their treatment needs. I am married to my high-school sweetheart and we have two young boys, Korbin and Karter, and two spoiled Labradoodles named Ginger and Honey. Other than dentistry, I enjoy spending time with my family, doing anything outdoors, and photography. 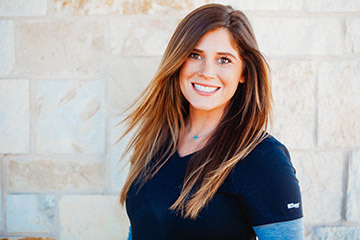 I attended High Tech Institute in Irving, starting working in dental care in 2008, and joined Highland Village Dental in 2017. I assist Dr. Stansbury with all aspects of patient care: helping patients to smile confidently and more often! I feel so fortunate to be a part of such an amazing group of people. I couldn’t ask for a better team! I am a mom of two, my son Landon and my daughter Kinley. Landon plays baseball and I love being a baseball mom. Kinley loves to read and spend time with her dad and me. We also have two dogs. Shadow is our black labradoodle and Gretchen is our French Bulldog/Boston mix. I take pride in being their mom as well. In my free time, I love to travel, go to concerts, church, hang out with my kids and friends, and work out. 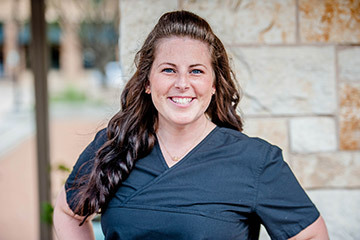 I moved to Texas from Wisconsin to be close to my sister, and graduated from Western Technical College with my associate’s degree in dental hygiene. I am thankful for the mild winters in Texas, as well as the myriad of fabulous restaurants the Metroplex has to offer. 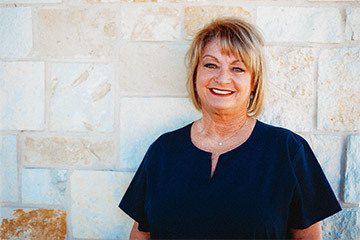 I love being part of our amazing team here at Highland Village Dental! It is my sincere desire to help our patients achieve optimum oral health with education and encouragement! I treasure the relationships I have with my patients and look forward to visiting with them at each of their re-care appointments. My husband Tyler and I have been married for several years and are expecting our first child. I teach dance at Footlights Dance Studio and love to share my passion with the kids!